nea4wd.org • View topic - 2016 Great American Jeep Rally!! 2016 Great American Jeep Rally!! 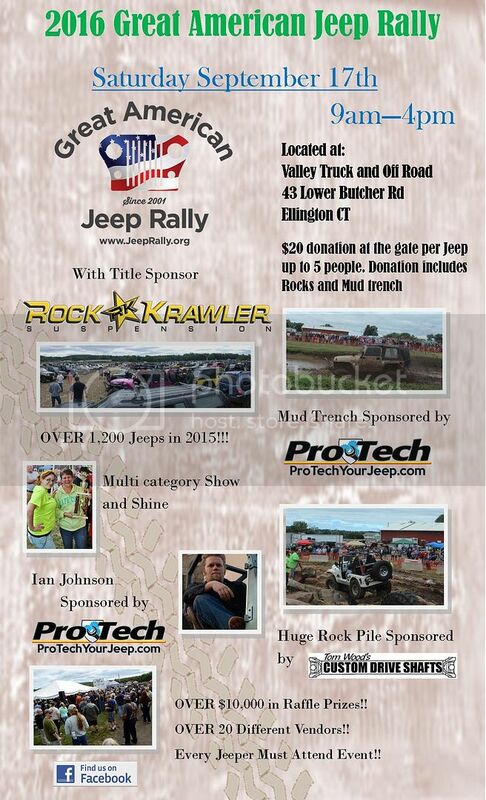 This year's Jeep Rally will be on Saturday September 17th in Ellington CT, 43 Lower Butcher RD. Please share with your clubs, we are constantly updating our Facebook page and FB Event page with more information.